Recently, we had a customer ask us to find them a mid century era piece to use as a bar in a man cave. Something steampunkish and industrial, vintage and clean lined. So when I stumbled across this awesome 1960’s rolling metal typing desk stashed behind some old bookshelves and a discarded desk, I knew I’d found “the one”. Hidden away behind a pile of old furniture…bingo! 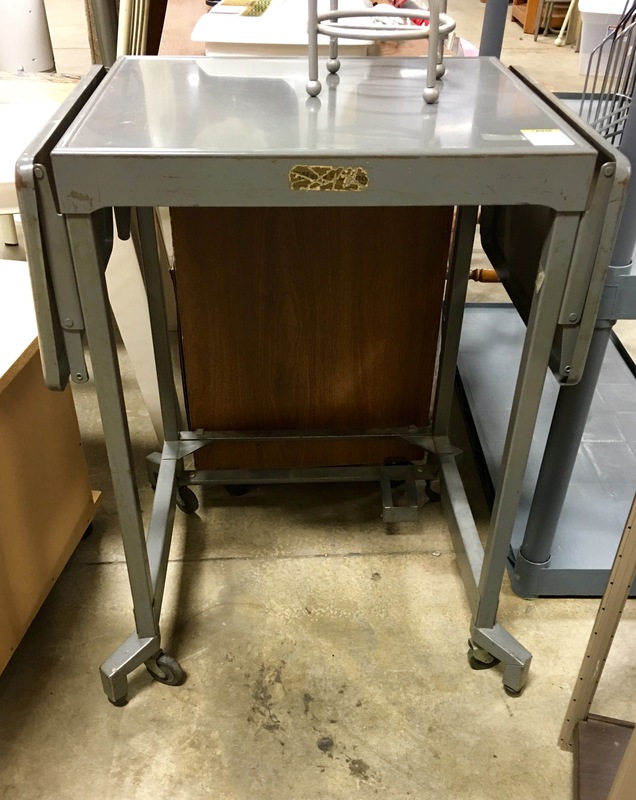 This style of desk was a staple in many offices during the 60’s & 70’s, and this beauty still had the original government “Property of…” sticker on the underside. The only thing that would have made this desk any cooler would have been the words “CIA” or “FBI” (instead of the County office in which it once resided). 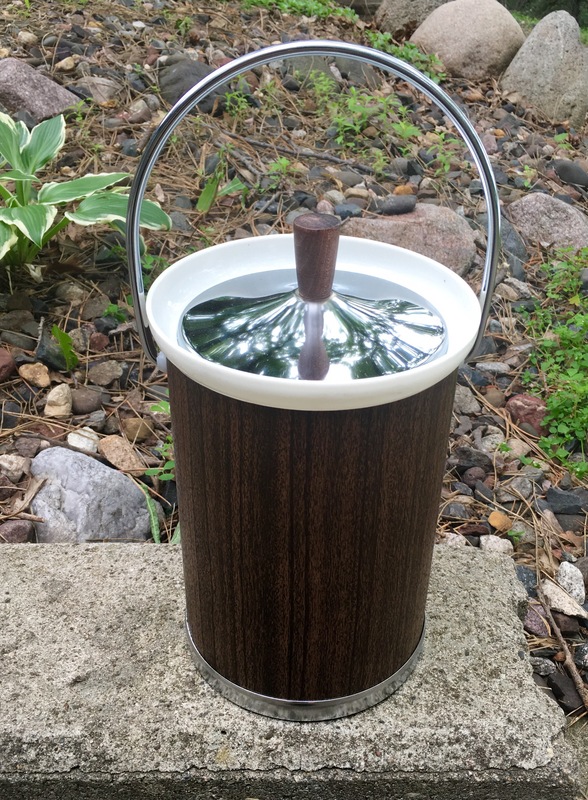 Loaded with a cool c. 1952 whiskey decanter, some retro cocktail tumblers and a shiny, vintage Kromex ice bucket (you should really check out our store!) this bar quickly took shape. 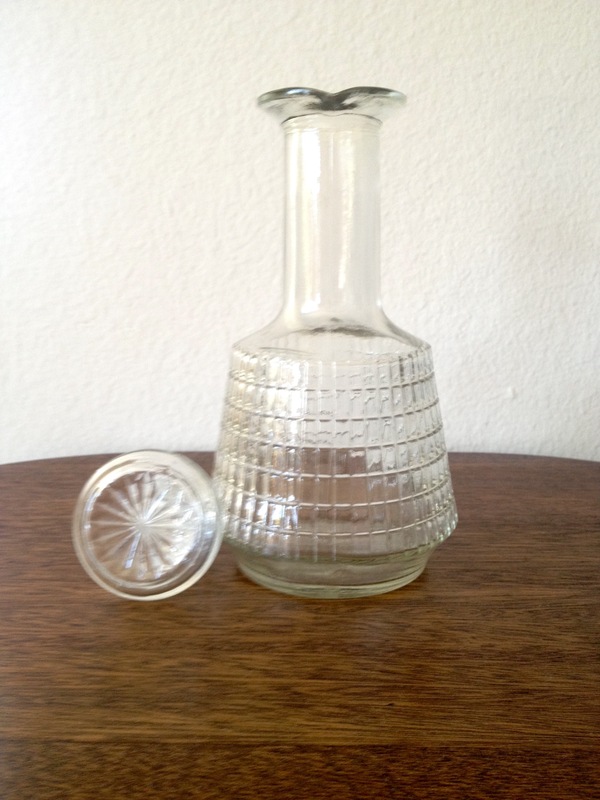 1950’s decanter – sweet bar accessories are a must! 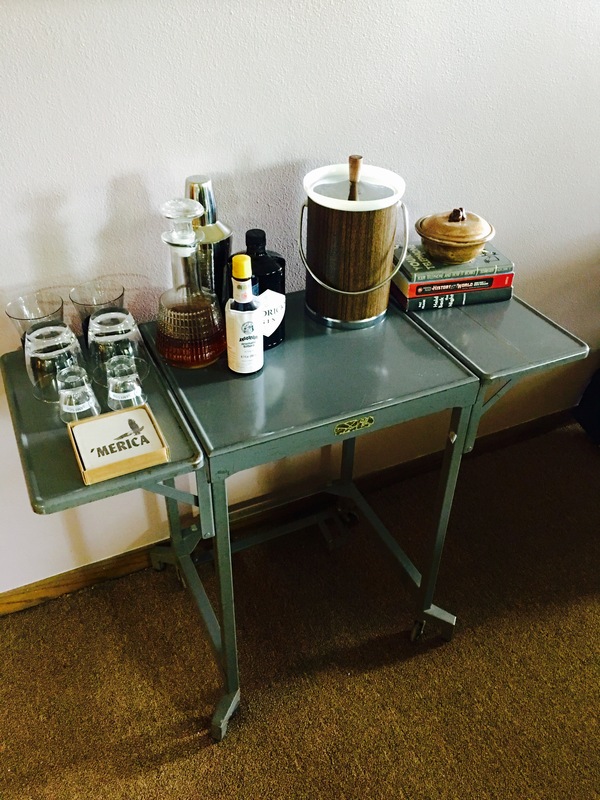 Sturdy & vintage, this bar cart is a cool piece of history – I wonder if the person who once sat typing at this desk daily, ever imagined it would one day serve this very swoon inspiring function? This piece really didn’t require much restoration, it was in great shape. Custom wooden wine bottle racks slide on to the bottom shelf and there is room for hanging wine glasses underneath. Perfect!